A family haven off the main road in Clearwater, Alpine Meadows Resort combines contemporary log-home style chalets with modern resort amenities. 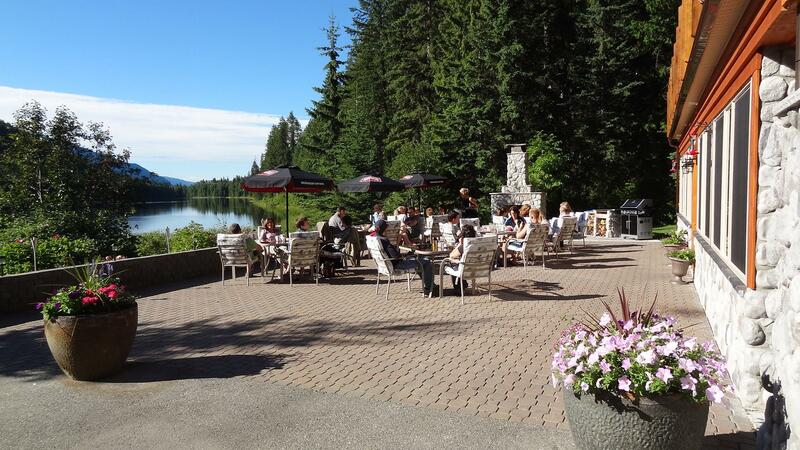 Enjoy boating or swimming on the lake followed by fine west coast cuisine in the Boathouse Restaurant and Patio, or take advantage of the wood-fired BBQ facilities. 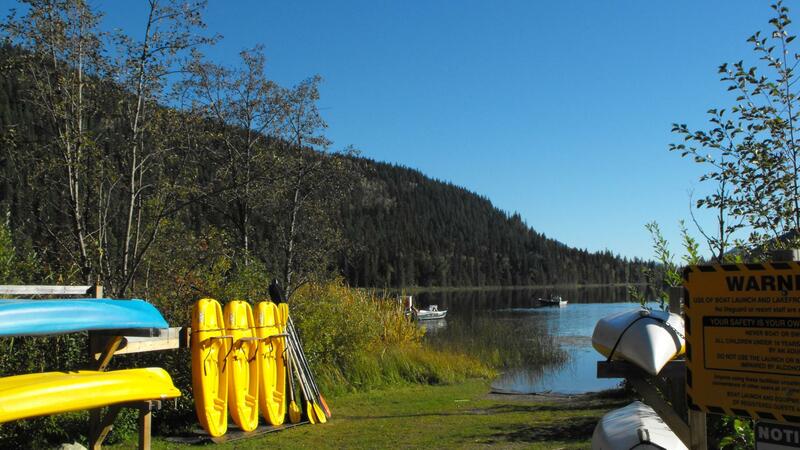 Choose from a one or two bedroom log suite up to a 3-bed log chalet. 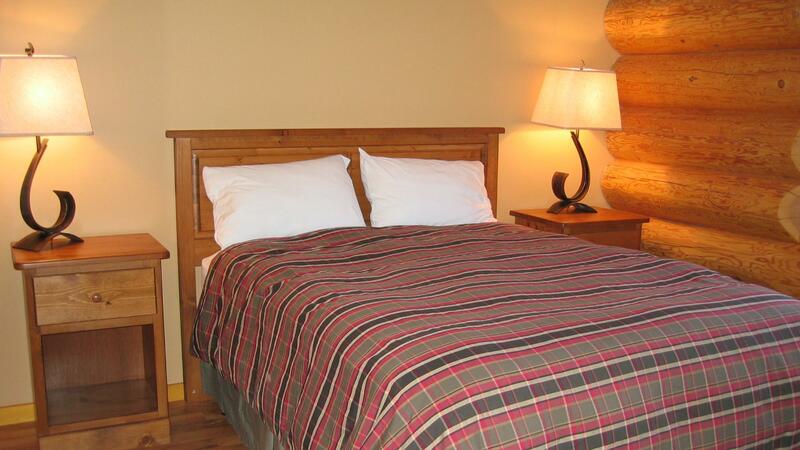 One and two bedroom log suites – if you do not need a kitchen, the log suites can accommodate up to four people with each room having a queen bed. The one-bed suite has a cozy sitting area and they also have a microwave and coffee maker. One bed Alpine chalet – overlooking Hallamore Lake and are bright and roomy for up to four guests. Each chalet boasts modern décor with a fully-equipped kitchen complete with a dishwasher, satellite tv, a pullout couch, queen-size bed, bathroom with shower and bath and a generous lakeview deck. 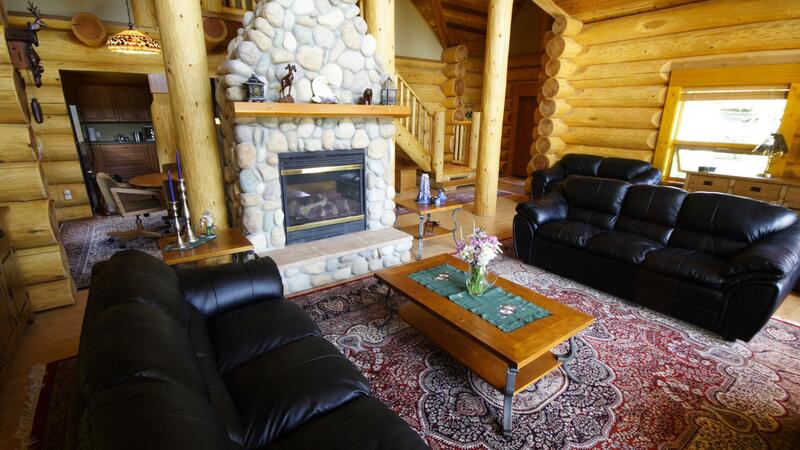 Two bed family log home – featuring two-bedrooms on one level and accommodating up to six guests. 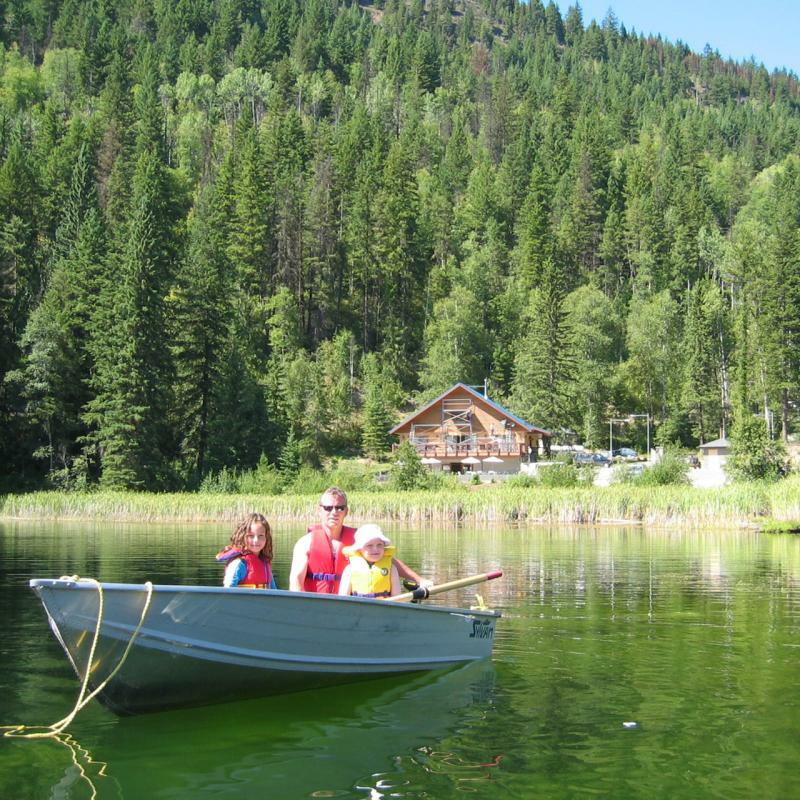 The Family Log Home features a modern, fully-equipped kitchen, two ensuite bathrooms, queen-size beds, satellite tv, a living room with pullout sofa, private deck and more. 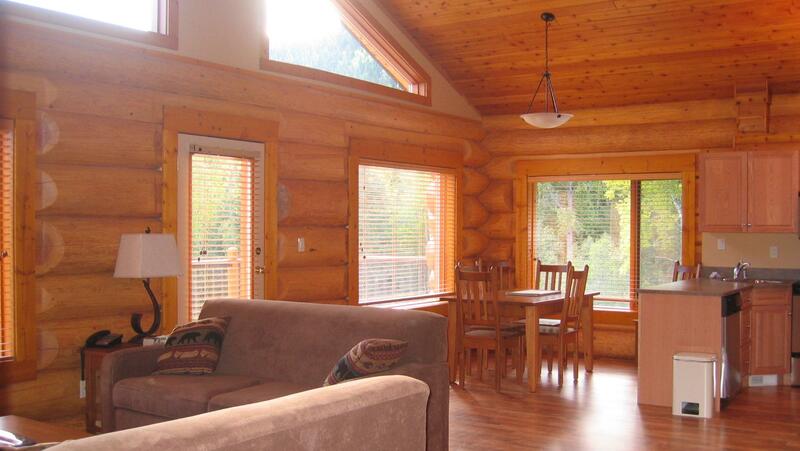 Three bed executive log home – fabulous, high-end contemporary log homes with private decks and floor-to-ceiling windows overlooking the lakes and mountains. 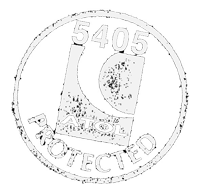 Enjoy 2,000 sq. ft of space in this two-level, three bedroom home that can accommodate up to six at a time. The Executive home also features three bathrooms, a floor-to-ceiling stone fireplace, private deck, fully-equipped kitchen with stainless steel appliances, queen-size beds, satellite tv and more. 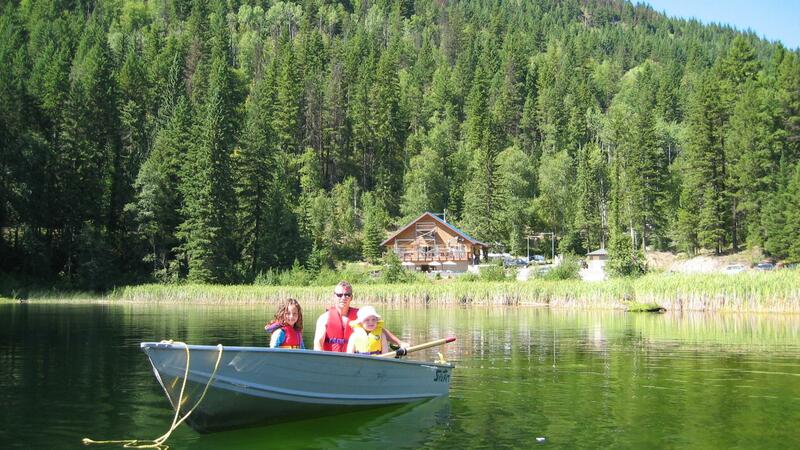 Rustic log cabin experience, perfect for families.